Our team combines food industry expertise with experience as conscientious consumers making informed food choices. Lucy Stitzer has an avid interest to ensure the world has safe, clean, affordable, and enough food to feed our future generations. She believes there is a delicate balance between the environment and feeding a global population. She wants to see food grown and delivered to the grocery store in a sustainable manner. This means large and small agriculture using technology and best practices to preserve water, use fewer chemicals, create healthier soil, protect clean air, and still see an increased yield per acre. She is a mother of three children, two of whom had a compromised immune system early in their childhood. She wanted to ensure that the ingredients in her meals were safe and healthy for her family. She enjoys outdoor sports, flying airplanes and, not to mention, maintaining a healthy diet. Lucy is a shareholder of Cargill Inc. and served on the Cargill Board for many years. While she has a strong understanding of the food supply chain, her perspective is completely based on independent research and her views are her own. 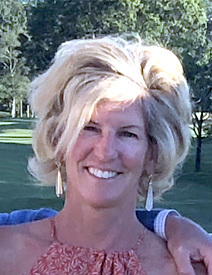 She also serves on the Board of Hamlin Capital Management and Rush Creek Golf Course. Her prior career was in banking and she has a B.A. in English from Hollins University. Caroline Cunnane began her interest in food and nutrition as a college student trying to navigate the dining hall. The idea that your food could be coming from just about anywhere didn’t sit well with her. As a student trying to avoid the “freshman fifteen”, she came to understand the importance of healthy food and how valuable good nutrition really is. Needless to say, she is curious about fad dieting, and whether or not they can be considered truly healthy! She has investigated everything from giving up gluten to the cayenne cleanse and it was this initial interest that brought her to the Dirt-to-Dinner team. Her research is based on interviews and primary source information. Before joining Dirt-to-Dinner, Caroline was at Bloomberg, and then the publishing industry, where she worked for the previous two years. 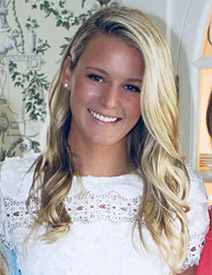 Caroline attended the University of Richmond and graduated with a B.A. in Communications and English. Lisa Hurst has a B.A. from Middlebury College, which set her up with an appreciation for the natural environment and a strong background in writing. She started her career in marketing and communications before “retiring” to raise a family. Having spent her fair share of time in the grocery store aisle to provide nutritious meals for her children and husband, Dirt-to-Dinner has given her the opportunity to research, learn and write about what marketing terms such as “natural,” “hormone free,” “non-GMO”, and “organic” really mean. In addition, her interests lie in learning all about American agriculture and how farmers and others along the supply chain grow, harvest and process our constant supply of fruits, vegetables, protein, and dairy. 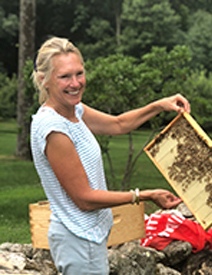 In addition to being an accomplished home cook, she strives to live a healthy, active lifestyle which includes plenty of outdoor time exercising her two yellow labs, growing vegetables and flowers, and throwing a little yoga or meditation in on the side. Hillary Kaufman graduated from Northeastern University in Boston with a B.S. in Business Administration and immediately pursued a career in marketing research given her strong interest in consumer trends and opinion in healthcare and consumer & food products. Hillary then furthered her healthcare industry experience in New York City, where she helped market a healthcare hedge fund product at an asset management firm. She then worked at an equity hedge fund to broaden her financial and marketing skills by supporting the investment and investor relations teams with research into agricultural, healthcare and consumer product companies. It was in this role she found her strong interest in how all food products make their way across the globe to the end consumer. In 2017, Hillary joined the Dirt-to-Dinner team and is so happy to dive into all the great topics we cover, from food trends to technological advances in health. She supports the team with evaluating marketing strategies that help put the word out on Dirt-to-Dinner, and making sure our readers know about and stay informed on all the important topics we cover! Hayley Philip was born in California’s central valley. Growing up in the most productive agricultural region of the state coupled with the fact that her grandfather was a farmer all his life, she has always had strong ties to agriculture. She attended the University of California Santa Barbara where she graduated with a degree in Sociology and Marketing. She moved to New York shortly after graduation, where she worked in sales and marketing for seven years in the tri-state area. 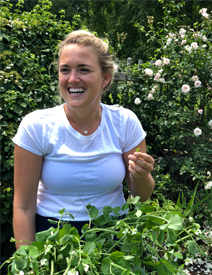 She joined the Dirt-to-Dinner team, not only to circle back to her roots in the ag space, but to leverage her marketing background to better understand how food and nutrition are marketed to consumers, and what is truly science versus what is simply misleading packaging claims. Recently married, Hayley is concerned now more than ever about how she feeds her family. She strives to uncover the health, safety and social impacts of food consumption to accurately answer the question on many consumers’ minds—how can I truly live a healthy lifestyle? 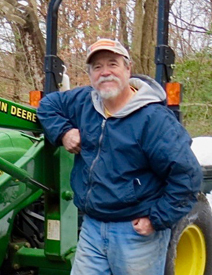 Garland West is a writer and business consultant with several decades experience in food and agricultural issues, most notably those involving food security and economic development. Over his career, he has applied his academic training in journalism to coverage of agricultural, environmental and trade policy in Washington and Europe, and has written articles, speeches, issue analysis and commentary on these and other matters for clients that include major corporate leaders and prominent global consulting firms. His resume includes postings in Washington, Minneapolis, London, New York, Chicago and Detroit, both as a corporate executive and president of his own company. He and his wife Nancy today reside deep within in the Blue Ridge Mountains, where they maintain an animal sanctuary and savor a more contemplative and relaxed pace of life. Susan Leaman, Vice President of iDecisionSciences, LLC has worked as a consultant to the fresh produce industry since 2006. Susan works with companies and associations to develop solutions that address produce-related food safety issues. In her personal life, she is passionate about nutrition and healthy eating, enjoys gardening and tennis, and (along with her husband aka the household chef) enjoys hosting friends and family in sharing good food and wine. As a mother to two school-aged children, she is embroiled in a daily struggle to get her children to more eat fruits and veggies instead of sugary snacks. Susan holds a master’s degree in toxicology from the University of Washington’s School of Public Health. 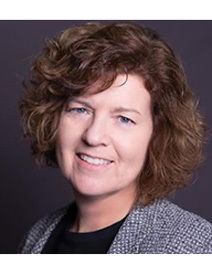 Diane R. Wetherington is CEO of iDecisionSciences, LLC, and a provider of specialty crop consulting services, and iFoodDecisionSciences, Inc., a software solutions provider for the food industry. 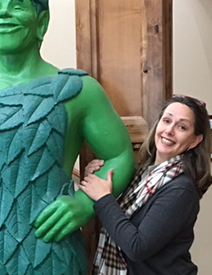 Helping the food industry supply consumers with healthy, safe food in a cost-effective, environmentally-sustainable manner is what drives Diane in her work. She believes data and data analytics are key to better understanding and improving both food growing and processing. 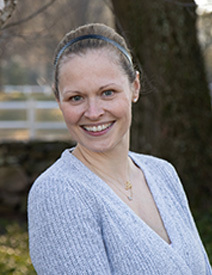 She is an avid runner and enjoys eating as much local food as possible while traveling. Diane previously held leadership positions with AT&T and MasterCard, where she worked in developing technological solutions for their customers. She holds a bachelor’s and a master’s degree in economics both from the University of Pennsylvania.